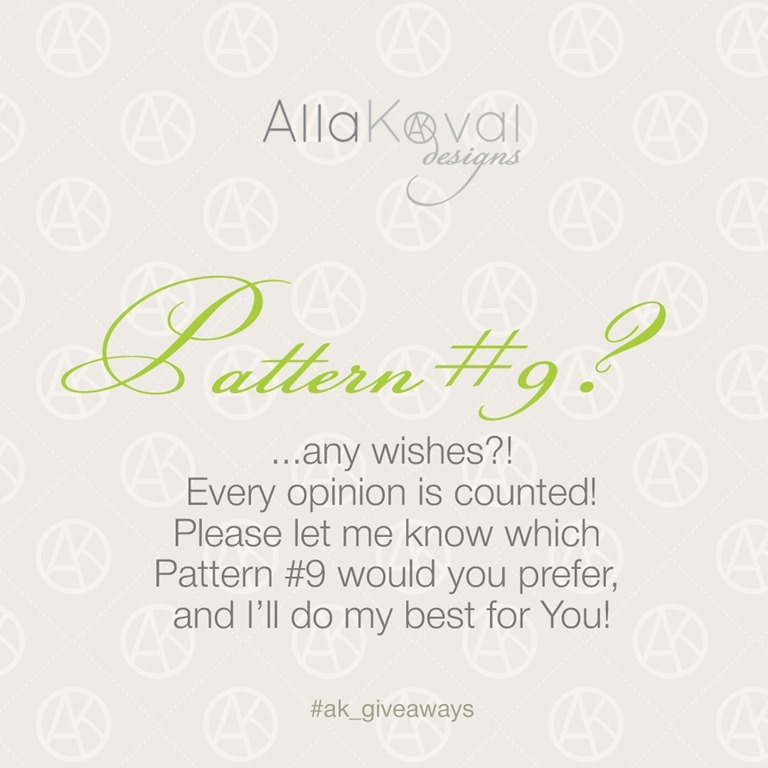 Home » Giveaway, Patterns	» Gifting Time | Pattern #9? Gifting Time | Pattern #9? Any wishes for the pattern #9, which will be posted on December, 30? 7 Responses to Gifting Time | Pattern #9? Hi Alla, You are so sweet to ask. Well, I have so many of your wonderful patterns..I had to ask myself…is there anything I haven’t got already that I’d love to have…well…I guess the Dandelion Tunic stood out for me. I have loved this for a long time, but maybe not in the mood to knit at the time when I considered for my toddler, because she would grow out of it quickly maybe. But now I am doing more knitting. And this pattern in particular has both knitting and crochet. And the toddler is no longer a toddler!! Maybe she could wear it longer now??? My goodness..Time flies! Or maybe a scarf that both girls and women could wear…like Coral Reef? And no matter what you choose, thank you for your generosity! My 2 absolute favorites are margerite jacket and whimsical forest owl jacket. I can’t knit but I’ve just always loved it! Yep, I crochet, but don’t knit so that, plus the ones I already have has influenced my choices. Your designs are inspiring and patterns well written. Always a joy to make thank you for sharing your talent. You are very generous , Alla. I would love the Sassy Chic Scarfe! I hope you have a WONDERFUL 2018!! !